It's your basic red action button! 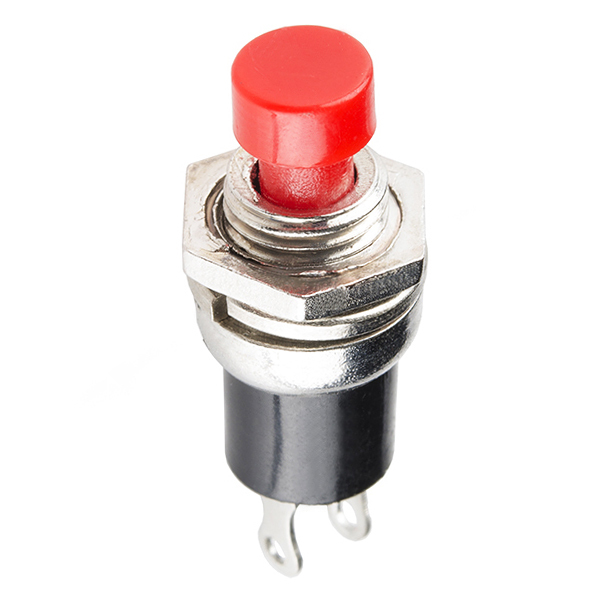 This is a very useful, small, panel-mount momentary switch. It is a SPST N.O. with the threaded portion being 6.75mm in diameter. This button is perfect for basic On/Off functions. 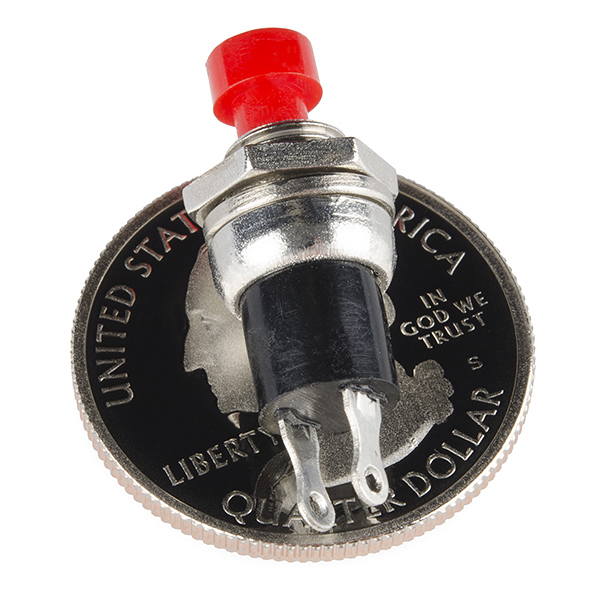 Overall length (including leads) is 1.06" and has small solder lugs for connection. These momentary buttons are rated up to 0.5A and 250VAC. What is the threading? I see it is 1/4 inch. Is it 1/4-22, 1/4-32, 1/4-36, etc? These buttons feel very "mushy" and don't give any tactile feedback, and different ones in the same batch seem to connect with varying levels of pressure. Some of them have to be really mashed into the casing to get them to register, which isn't good enough for my project (a gaming peripheral). They were also about half the size I expected, but that's my fault for not paying closer attention to the drawings.